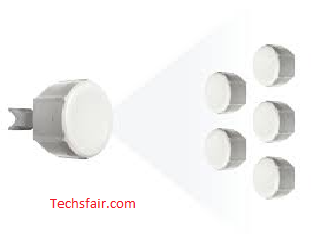 Point to multi-point setup is very simple when using a mikrotik equipments. Like as we discus early on this blog, Point to Multi point links is widely used when central location needs to be accessed via several nodes. Although It is a more complicated version of Point to Point link in the sense that it requires more attention to monitor and keep up to date with different nodes being connected to a station. In other hand, setting up a point to multi-point Link in a very populace area, saves costs to organizations and ISP’s that knows what they are you doing. To further outline the importance of point to multi-point links, you don’t need to pay extra internet cost if you have your offices located within a range of 5km apart. 5. give a firewall to access the Mikrotik station. WDS mode: Dynamic We enter the IP we created in rb750, assign DNS, and static route, and check ping to Google Groove configuration (IP of Mikrotik QRT) Tap WDS: Dynamic wds default bridge: none. Check DHCP client, formerly DHCP server first on ether WLAN in Mikrotik QRT, After bound, now check ping to internet. Assign IP firewall nat to local IP is changed as if ip public who is surfing in Google/internet, if not DHCP server. Assign static IP on your computer / laptop, if everything is rightly done, every client connected or connecting to that base will have access to internet. So this is how you set up a point to multi-point connections mikrotik routers.